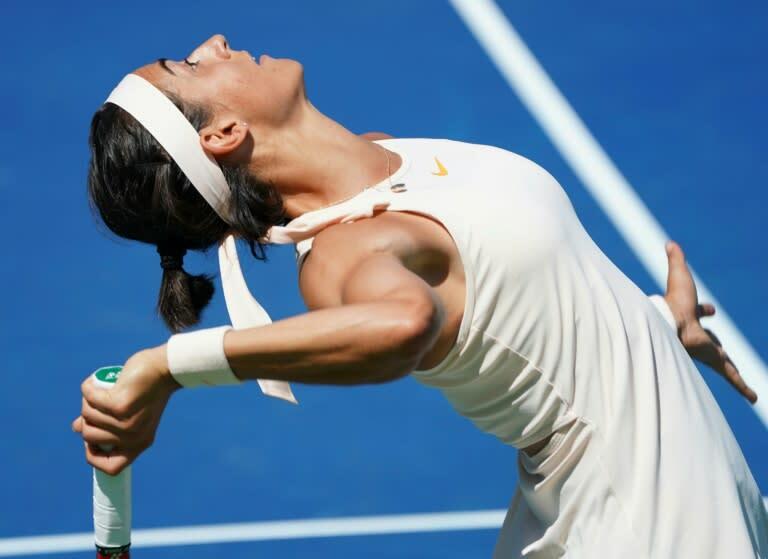 Caroline Garcia didn't blink, holding serve in a marathon game lasting almost 20 minutes to key her 6-2, 1-6, 6-4 victory over Monica Puig at the US Open on Thursday. "This game was crazy!" sixth seed Garcia said after surviving six break points in a game that went to deuce 11 times to give herself a 5-4 lead in the final set. She knew it was crucial to hang on, defying not only Rio Olympics gold medalist Puig but also energy sapping heat and humidity to put herself in position to win. "Even if it was difficult, I knew if I could get this one the next one could be difficult for her," said Garcia, who had lost three prior matches against the Puerto Rican. So it proved, Puig bowing out meekly with a loss of serve. Garcia, a five-time winner on the WTA tour whose best Grand Slam result was a quarter-final run at last year's French Open, next faces either French compatriot Kristina Mladenovic or Spain's Carla Suarez Navarro for a place in the last 16.